There are 21 reviews of Joop! Homme Wild. A bit of a guilty pleasure of mine. Nothing mind blowing and a bit generic but there is something that tickles my fancy. Do not own a full bottle but enjoy wearing my decant from time to time. For the younger crowd. If your between 16 - 21 save your money on Sauvage and buy this instead. Less than half the price and will probably get you the same amount of attention that you are looking for. I initially eschewed the Joop flankers because I find the bottles tacky. Then I decided to sniff Wild and was not impressed. Nothing wild about it to my nose, and pales in comparison to the original. Joop! Homme Wild reminds me of coconut rum in the opening. Not sure I would call this tropical but it has a boozy, creamy coconut smell, kinda like a coconut lotion. This doesn't evolve much beyond that during the scent life. Seems to be best suited for casual wear. I would prefer this at night. Syrupy sweet rum & tobacco! As stated, the opening of Joop! Homme Wild is awful (sweet/junvenile) & probably one of the most tacky, tasteless bottles ever imagined, but still prefer it to the original Joop! Homme. I could say the model in the ad looks like a tool too, but we're reviewing the fragrance here. As it dries down the tobacco, pink pepper, & woody notes start to come through. It gets much better on my skin. To me, Joop! Homme Wild bares some similarities to Only the Brave by Diesel, but spicier. Performance is good & you will get noticed, but the scent lacks versatility. You won't need a 4.2 or even 3.4 bottle of this. Buy the 30ml at a discount retailer & use it strictly for night out/weekends. On second thought, would also be great on vacation or at the beach since it has that tropical rum vibe. Again, loses points for versatility but compensates with originality. Got given a 2ml sample of this. Never been a fan of Joop as I find them all too cloying and sweet. This is no exception - too sweet and cloys way too much. Thank god it was only a sample I used. 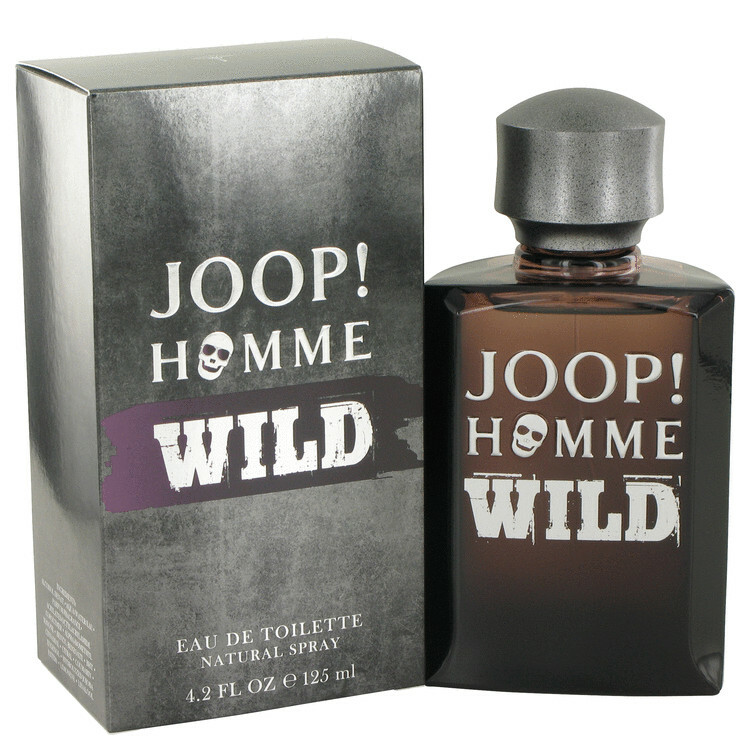 I am not a fan of the original Joop, it is just a mess in my opinion; however I really rate and enjoy Joop Homme Wild. Like others I am not attracted to the name or packaging but what is inside more than makes up for it. This is a boozy concoction of sweet rum and smooth spice which provides above average sillage and longevity on me. For me it works as a modern social scent rather than a work scent as I find it more on the informal side. I am yet to find someone that dislikes this smell and I would highly recommend sampling this if you have not already. It is not as harsh as the original or the Extreme flanker, both of which I find almost unbearable/unwearable. I find Wild to be a real stand out fragrance when compared to many current offerings without being totally unique. This is a scent that will be overlooked and perhaps scoffed at because it is a flanker to a very popular fragrance which is a shame because it easily stands alone on its own capabilities. Easily the best that Joop has to offer and one that I am happy to have in my collection. JOOP! ROCOCO FOR MEN 4.2 Oz / 125 Ml EAU DE TOILETTE SPRAY.. There are no member images of Joop! Homme Wild yet. Why not be the first?